Plot Summary: Asta is a young boy who dreams of becoming the greatest mage in the kingdom. He only has one problem, he can't use magic. 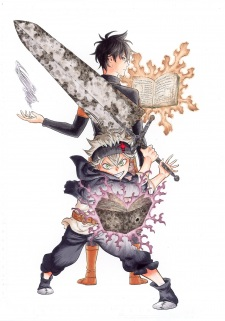 Luckily for Asta, he receives the incredibly rare five-leaf clover grimoire that gives him the power of anti-magic. Even though he can't use magic, he plans to become the Wizard King.